Disney Frozen MagiClip Flip 'N Switch Castle And Anna Doll Only $10.70! 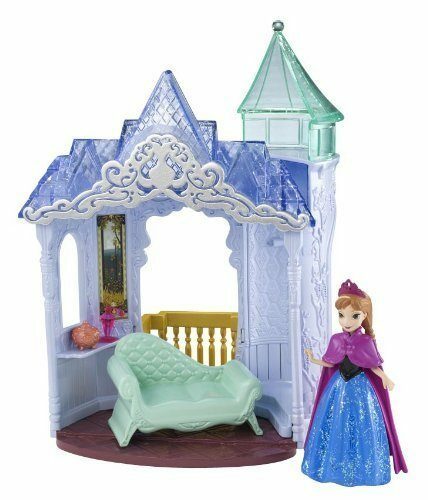 You are here: Home / Great Deals / Amazon Deals / Disney Frozen MagiClip Flip ‘N Switch Castle And Anna Doll Only $10.70! Disney Frozen MagiClip Flip ‘N Switch Castle And Anna Doll Only $10.70! Join Anna in her castle room for hours of play! With three ways to play, this versatile castle is the perfect place for Anna to call home! The charming castle comes with a two-in-one piece of furniture that allows kids to instantly change her room into another area to play out Anna’s story. Get the Disney Frozen MagiClip Flip ‘N Switch Castle And Anna Doll for Only $10.70!